Thanks to a recent ruling from Topeka, Kansas residents who work in Kansas City (and pay KC earnings tax) may be eligible for a refund of the KC taxes paid. I am reviewing the recent ruling and will contact any clients who I believe may benefit from it. However, if you are a current tax client and you believe you will benefit from this rule, you are welcome to contact me and get your name on the list of amended tax returns to be completed. Kristine McKinley is a fee only financial planner in Kansas City, Missouri. Kristine provides retirement planning, tax preparation and planning, investment reviews and comprehensive financial planning on a fee-only, as needed basis. To schedule your complimentary introduction meeting, please contact Kristine at kristine@beacon-advisor.com. Stock Market Update: Don’t Panic! The market moves in cycles. While we all would like to see our portfolios go up all the time that just isn’t how the market works (nor is it realistic!). Having said that, it’s important to note that since 1900 there have been 35 declines of 10% or more in the S&P 500. Of those 35 corrections, the index recovered fully within an average of 10 months. The S&P 500’s average annual total return over the past 50 years is 10%. This is even with large corrections such as those that occurred after 9/11 and during the 2008 economic recession. As you know, I use a pretty conservative rate of return in your retirement projection (6-7%), so your plan should still be solid even with the current market volatility. We’ve been in a very strong bull market the last five years or so. The S&P 500 more than doubled in value from March 2009 through 2013 with annualized returns of more than 20% through the end of 2014. Knowing that, I have been telling clients that a correction is overdue, if for no other reason than to bring market values back down to “normal” levels. So a correction this year was certainly not unexpected. However, the volatility of the past few days has been greater than expected for a “reversion to the mean” type of correction. This has been due to a combination of events including China’s devalued currency, speculation over the Fed’s plans for US interest rates, declining oil prices, ongoing uncertainty in Greece, and so on… Each of these factors on its own can have an effect on the market; combined, their impact has been more dramatic. Even so, none of this news was entirely unexpected. Key US economic factors (manufacturing orders, housing starts, auto sales, P/E ratios, etc.) remain strong, which is why most analysts are viewing this week’s activity as a correction rather than a bear market. This means from an investment perspective, this may be a great buying opportunity rather than a time to sell. If economics and history repeat themselves – and to date they haven’t failed in this regard – the market will rebound, and long-term investments will continue to provide value. So what should you be doing now? 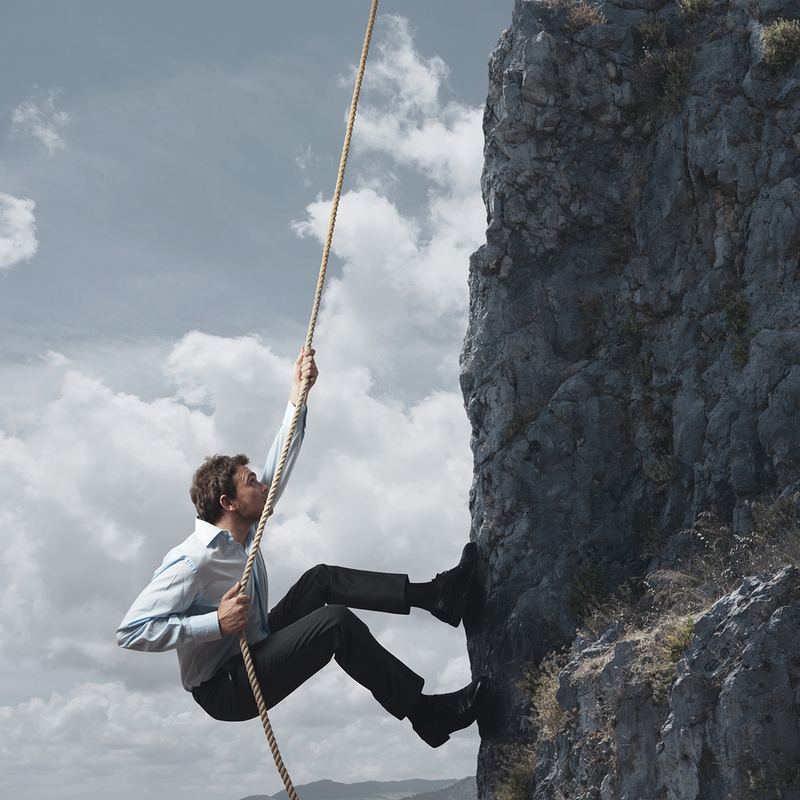 Make sure you have a portfolio that matches your risk tolerance, time frame and goals. This has always been my highest priority, so if you’ve been in for a review recently, your portfolio should already match these goals. Rebalance your portfolio annually. This ensures that you don’t become over-weighted in any one asset class, thus putting your portfolio at greater risk during a decline. Keep adequate liquid funds to cover living expenses (if retired) or emergencies (if still working). A good rule of thumb is to have 3-6 months of living expenses set aside if you are still working, and 12-24 months of living expenses set aside if you are retired or close to retirement. And finally, don’t panic. People who try to time the market lose on average 50% more than people who stay the course. This is because when you sell after a large decline you are locking in your losses with no way to recover them. If anything shifts to change my thinking, I will let you know right away. But for now, I urge you to sit back, relax and enjoy the rest of this beautiful day. If you are too concerned about the immediate days ahead, please send me a note and I’ll be happy to address your concerns individually. In the meantime, turn off the TV and don’t listen to the talking heads screaming doom and gloom headlines (remember, they are emphasizing the negative in order to keep people watching). Practice patience and assess your own comfort level in weathering what may be some choppy days ahead. 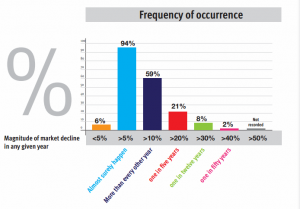 As you can see from this graph, market declines are normal with a 94% chance that a 5% decline will happen in any given year, a 59% chance of a 10% correction every other year, a 21% chance of a 20% decline every five years, etc. Based on these probabilities and the unprecedented returns we have seen in the S&P 500 over the last five years or so, we are actually long overdue for a correction. While that may not be very comforting, it’s important to put historical market corrections into perspective and to understand that corrections are a normal part of the stock market. 1. Take your minimum required distributions (MRDs) from qualified accounts and IRAs. If you are age 70½ or older, make sure you know which of your accounts require such distributions and how large those distributions need to be, and then meet the requirements and deadlines, avoiding the application of the 50 percent income tax penalty that will be assessed if you fail to make timely withdrawals of required distributions. 2. Liquidate loss positions in taxable accounts. Some investments in your taxable accounts may be worth less than their tax basis. In addition to offsetting realized losses against realized gains, at the federal level you can usually use up to $3,000 ($1,500 for married couples filing separately) of net losses each year to offset ordinary income including interest, salaries, and wages. Unused losses can be carried forward for use in future years. 3. Sell assets in taxable accounts that will generate neither capital gains nor capital losses. Such assets generally include cash and cash-equivalent investments as well as capital assets which have not increased in value. If your withdrawals from this tier in the hierarchy largely come from cash-equivalent investments, sufficient liquid assets holdings should remain intact in order to cover short-term financial emergencies. And be especially mindful of portfolio rebalancing issues. 4. Withdraw money from taxable accounts in relative order of basis, and then qualified accounts or tax-deferred saving vehicles funded with at least some nondeductible (or after-tax) contributions, such as variable annuities and Traditional IRAs that contain non-deductible contributions. The choice depends on the circumstances, and in some cases it might make more sense to tap the tax-deferred vehicle first, but for most retirees, capital gains rates are lower than ordinary income tax rates and generally liquidating capital assets first would be beneficial. Assuming there is a significant difference in the basis-to-value ratio of the assets to be liquidated in two accounts, the better tactic for choosing between these two types of withdrawals may be to liquidate the assets with the higher ratio. That is, the assets that have generated the smallest gain or the largest loss as a percentage of their basis. If the basis-to-value ratio of the assets to be liquidated in each account is relatively low due to significant investment gains, it often will be preferable to liquidate the assets in the taxable account. Conversely, if the basis-to-value ratio of the assets to be liquidated in each account is relatively high, it may be preferable to liquidate assets in the tax-deferred account if portfolio demands require it. 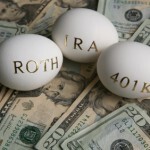 Note that IRAs are generally subject to certain aggregation requirements when allocating basis. When liquidating gain positions in taxable accounts, it usually makes sense to sell assets with long-term capital gains first, since they should be taxed at lower rates than short-term gains. 5. 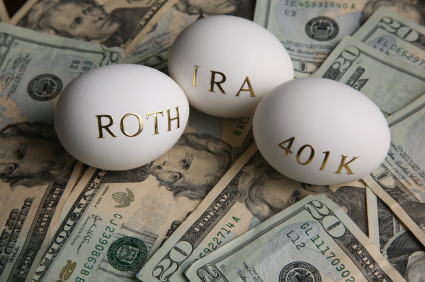 Withdraw money from tax-deferred accounts funded with deductible (or pre-tax) contributions such as 401(k)s and Traditional IRAs, or tax-exempt accounts such as Roth IRAs. It may not make much difference which account you tap first within this category since all withdrawals from any tax-deferred accounts funded with fully deductible (or pre-tax) contributions are taxed at the same rate. When withdrawing money from tax-deferred accounts funded with fully deductible (or pre-tax) contributions, you may wish to request that taxes be withheld. 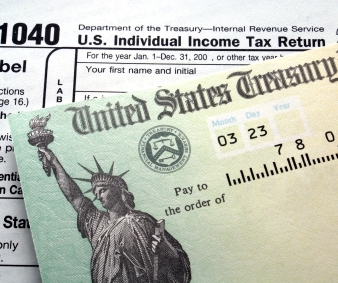 If you believe that the withdrawals you make may be subject to different tax rates over the course of your retirement (whether due to changes in tax law or to varying tax brackets as a result of fluctuations in income) you may be better off liquidating one type of account within all of these guidelines before another. For example, it may make more sense to leave your Roth account intact if you thought your ordinary income tax rate was likely to rise in later years, increasing the value of the Roth’s tax exemption. Estate planning considerations may also significantly impact the entire hierarchy. Generally, qualified and tax-deferred assets may be given a higher order within the withdrawal hierarchy in the case of larger estates expected to hold “excess” assets which will pass to heirs or be subject to estate taxes. Capital assets receive a step-up in basis at death, while qualified and tax deferred assets are considered to contain “income in respect of a decedent” and do not receive a step-up. 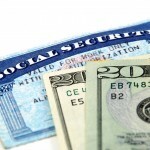 A number of other issues may also have an effect on the recommended order of withdrawal, like if the retiree’s income approaches the threshold of paying taxes on Social Security income. This column is produced by the Financial Planning Association, the membership organization for the financial planning community, and is provided by Kristine McKinley, CFP, CPA, a local member of FPA. Kiplinger magazine and the National Association of Personal Financial Advisors (NAPFA) are teaming up for the annual Jump-Start Your Retirement Plan Days to bring you free one-on-one personal finance advice. NAPFA members (including me!) from across the U.S. will be standing by to answer your questions from 9:00 a.m. to 5:00 p.m. ET on Thursday, February 7 AND Tuesday, February 12, 2013. The chat rooms will be open a week in advance so you can get your questions in early. 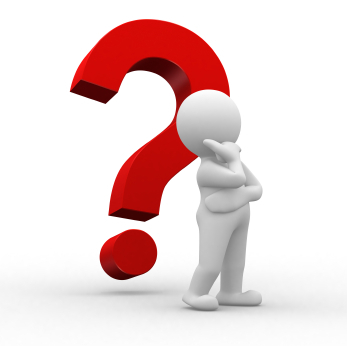 To submit a question, simply follow the link above that best fits your question. Advisors will answer questions in the order they come in. I will be in the Taxes and Retirement chat room from 11-1 on February 7. I look forward to answering your questions! In true Congress style, a deal was passed at the last minute to keep the US from going over the fiscal cliff. On Tuesday night the House passed a bill that will extend the Bush tax cuts for most of Americans, extend unemployment benefits, and delay spending cuts. Unfortunately, the bill left a lot of big issues on the table. The fiscal cliff related to both the tax laws that were scheduled to expire on December 31, 2012 and the spending cuts that were set to take place automatically on January 1, 2013. The deal raises taxes for higher-income people (individuals who earn more than $400,000 and couples who earn more than $450,000), but keeps taxes the same for everyone else. Basically, the Bush tax cuts were made permanent for everyone except those who earn more than $400,000. If you earn more than $400,000 the Bush tax cuts will expire for you, causing your top tax rate to jump from 35% to 39.6%. One good thing to come from the bill is that the alternative minimum tax will be adjusted permanently for inflation. The AMT has never been adjusted for inflation causing more and more people to owe it every year. Without a legislative change, up to 30 million Americans would have had to pay the AMT for the first time on their 2012 income tax returns. The bill will permanently adjust the income exemption amount for inflation. The itemized deduction and the personal exemption phaseouts were extended, meaning people who earn less than $250,000 (single) or $300,000 (married filing jointly) will not see their deductions phased out. Capital gains and dividend tax rates will remain low for most taxpayers. A 20% rate will apply for individuals above the top income tax bracket, middle brackets will pay 15% and the zero rate is retained for taxpayers in the 10% and 15% brackets. Parents will be happy to hear that the expanded American Opportunity Tax Credit, Child Tax Credit, Child Care Credit and Earned Income Tax Credit will all be preserved for the next five years. These credits were expected to return to pre-Bush levels on January 1, making many people ineligible for them. Oh and remember the marriage penalty? You know, the smaller 15% tax bracket and the smaller standard deduction that applied to married taxpayers (compared proportionately to single taxpayers)? Well you can breathe easier, the marriage penalty has been permanently banished from the tax law. Teachers will be happy to learn that the deduction for books, supplies, etc., was extended (although $250 is nowhere close to what most teachers pay for classroom supplies, every deduction helps). Also extended were the tuition and fees deduction and the ability to deduct state and local sales taxes in place of state and local income taxes. These were extended for one year. Retirees can continue to make charitable donations from their IRA; the tax-free distributions from IRAs for charitable purposes provision was extended through 2013. This is a win-win for both retirees and charities, so hopefully this will be made permanent in future legislation. Estate taxes were also addressed in this bill; the current exemption of $5.12 million will be preserved but the top tax rate will go up to 40% from the current 35%, however, that’s lower than if the bill had been allowed to expire completely. While taxes will remain low for most people, there are a couple of new taxes for high income taxpayers. The additional 0.9% hospital insurance tax on high income taxpayers ($200,000 if you’re single, $250,000 if you’re married and filing jointly) took effect on January 1. Also effective on January 1 is the 3.8% Medicare tax on the lesser of an individual’s net investment income or the amount the individual’s modified adjusted gross income exceeds a threshold amount. The threshold amounts are the same as the additional hospital insurance tax. One of the surprises in this bill, for me anyway, is that the higher floor for deducting medical expenses was not axed. In 2012, you could deduct medical expenses that exceeded 7.5% of your adjusted gross income (AGI). Starting in 2013, the “floor” was raised to 10% of your AGI. The bill does include some relief; if you or your spouse has turned 65 before the end of the year the increased floor does not apply, but only for the years 2013-2016. So retirees will still be able to deduct medical expenses, but the higher floor will mean many taxpayers under age 65 will no longer be able to deduct medical expenses. The deal also delayed the automatic spending cuts from happening, but only for two months. Congress will need to come up with a new plan for the deficit before March or the US will face another cliff scenario. Two of the biggest spending cuts on the table were unemployment benefits and Medicare. The bill includes an extension of unemployment benefits for one year. Without this clause, more than 2 million people would have lost their unemployment benefits. Regarding Medicare, doctors were facing a large pay cut in 2013 as Medicare reimbursement rates were set to be adjusted automatically to stay in line with GDP growth. This would have caused a 27% pay cut for physicians. While you may not be overly concerned with high income doctors taking a pay cut, you should be. Doctors fed up with looming pay cuts have been turning Medicare patients away, making it hard for consumers to get the care they need. The bill prevents this pay cut from happening, but just for one year. This issue will need to be addressed soon as it adds $31 billion to the deficit. The bill will go to the White House next to be signed by President Obama. It is expected to be signed into law by Thursday. Unfortunately, this is not the end of the fiscal cliff. According to CNNMoney, we have three more cliff-like deadlines in the next few months including the debt ceiling (not addressed in the current bill), the sequester (a series of automatic cuts in federal spending that will take place if Congress doesn’t act), and the continuing budget deficit. These must all be addressed by the end of March, so keep your seat belts on, the ride isn’t over yet. Getting a jump on your taxes long before the April deadline is the best tip of all. To do so, the IRS recommends gathering your records in advance, including W-2s and 1099s. 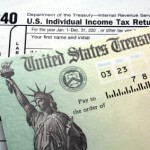 In addition, the IRS recommends getting the right forms, all of which are available 24 hours a day, seven days a week at the IRS’ Web site, www.IRS.gov. That site also has some helpful calculators to get you started. That being said, tax payers should avoid getting too early a jump on their taxes. With the preferential qualified stock dividend rate, complicated foreign tax credits, lower capital gains rates and other changes over the last few years, many investors are finding that they receive Revised 1099s, or other tax reporting documents, well into March. If you’ve already filed your return, this can lead to costs of re-filing an amended return that you may wish to avoid. The best bet may be to get your tax return all completed, and then hold off filing it until the end of March, to see if any amended 1099s arrive. Of course, keeping organized, thorough records is the key to filing on time. The IRS suggests that you can avoid headaches at tax time by keeping track of your receipts and other records throughout the year. Good record-keeping will help you remember the various transactions you made during the year and help you document the deductions you’ve claimed on your return. You’ll need this documentation should the IRS select your return for examination. Normally, tax records should be kept for three years, but some documents – such as records relating to a home purchase or sale, stock transactions, IRA and business or rental property – should be kept longer. To be sure, some citizens wonder whether they need to file a tax return. According to the IRS, you must file a tax return if your income is above a certain level and that amount varies depending on filing status, age and the type of income you receive. For example a married couple, under age 65, generally is not required to file for the 2006 tax year until their joint income exceeds $16,900. Even if you do not have to file, the IRS notes that you should file to get money back if Federal Income Tax was withheld from your pay, or you qualify for certain credits. It’s also important to choose your correct filing status, of which there are five options. According to the IRS, your federal tax filing status is based on your marital and family situation. It is an important factor in determining whether you must file a return, your standard deduction and your correct amount of tax. Besides choosing the correct filing status, it’s important to calculate whether you should itemize deductions or not? And that will depend on how much you spent on certain expenses last year. According to the IRS, money paid for medical care in excess of 7.5 percent of adjusted gross income (AGI), mortgage interest, taxes, charitable contributions, casualty losses and miscellaneous deductions in excess of 2 percent of AGI can reduce your taxes. If the total amount spent on those categories is more than the standard deduction, you can usually benefit by itemizing. The standard deduction amounts are based on your filing status and are subject to inflation adjustments each year. Also of note, if you gave any one person gifts in 2006 that valued at more than $12,000, you must report the total gifts to the IRS and may have to pay tax on the gifts (if, including prior taxable gifts, in excess of your $1 million lifetime exclusion). The person who receives your gift does not have to report the gift to the IRS or pay gift or income tax on its value. Gifts include money and property, including the use of property without expecting to receive something of equal value in return. There are some exceptions to the tax rules on gifts. In some cases, a taxpayer may want to consider using a paid tax preparer. If so, the IRS has tips on its Web site to follow. Of note, only attorneys, CPAs and enrolled agents can represent taxpayers before the IRS in all matters including audits, collection actions and appeals. Although you might not find that you need the services of a paid CPA or accountant every year, having a relationship established when unexpected opportunities or events occur will make getting timely professional input that much easier. Someone who knows your income and deduction patterns, and can quickly answer routine questions or research the more complicated issues, may well be worth the price – even in the years when things seem straightforward. When completing your tax return, make sure that you take your time, double-check your math and verify all Social Security numbers. Math errors and incorrect Social Security numbers are among the most common mistakes found on tax returns. And remember, if you are getting a tax refund, consider making an automatic contribution to your IRA; this is the first year that this can be done. 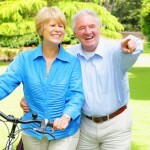 On any given day, you will find not one but several studies that examine the current state of affairs for Baby Boomers, the 77 million Americans born between 1946 and 1964 that are now slowly approaching retirement. And what’s emerging is an interesting, though at times bleak, picture of one of the most analyzed groups in America. Here are some of the highlights of that research and the financial planning implications. Retirement security: The 2006 Employee Benefit Research Institute’s annual retirement confidence survey recently reported that just 25 percent of workers are very confident about having adequate funds for a comfortable retirement. In some ways, that should come as no surprise given that half of all workers say they’ve saved less than $25,000 toward retirement, and even among workers 55 and older, more than four in 10 have retirement savings under $25,000. The implication for workers is that they will need to start saving more money toward retirement, with some financial planning experts suggesting that workers might need roughly 20 times their annual pre-retirement spending set aside toward retirement. What’s more, workers are underestimating the percent of retirement income they might need in retirement. At present, many financial planners suggest replacing at least 75 percent of pre-retirement income in retirement, if not 100 percent given longer life expectancies and increasing healthcare costs. Retirement is a state, not a date. A new MetLife Mature Market Institute study indicates that 78 percent of respondents age 55-59 are working or looking for work, as are 60 percent of 60-65 year-olds and 37 percent of 66-70 year-olds. Across all three age groups, roughly 15 percent of workers have actually accepted retirement benefits from a previous employer, and then chose to return to work or are seeking work. These employees, who have become known as the ‘working retired,’ represent 11 percent of 55-59 year-olds, 16 percent of 60-65 year-olds, and 19 percent of 66-70 year-olds. Their motives for doing so are mixed, with 72 percent of those age 55-59 (and 60 percent of those age 60-65) citing the need for ‘income to live on’ as a primary reason for working, but among 66-70 year-olds, 72% percent of employees cited the desire to ‘stay active and engaged’ as a primary reason to work, followed by ‘the opportunity to do meaningful work’ (47 percent) and ‘social interaction with colleagues’ (42 percent). Of note, many financial planning experts suggest that working part-time or full-time during retirement years is one way to make up any retirement income shortfall. But odds are high, about one in two, that some workers will be unable to work during retirement because of an illness or disability, corporate downsizing and restructuring, or the need to provide financial support to a family member of loved one. And it’s also important to understand the tax issues of working during retirement. In the meantime, much has to change in America to make the workplace of the future “work” for boomers. According to AARP’s “Reimagining America,” pension and other laws need to change for older workers so they don’t get penalized for working longer. Employers need to accommodate the needs of older workers, providing flex-time schedules or low-stress jobs, and older workers need to invest in education and skills-training to meet the demands of a constantly changing market for skills, knowledge and experience. Healthcare costs: A recent Fidelity Investment study suggests that a 65-year-old couple retiring today will need about $200,000 set aside just pay for healthcare costs in retirement. The 2006 estimate, which assumes that the individuals do not have employer-sponsored retiree healthcare, includes expenses associated with Medicare Part B and D premiums (32 percent), Medicare cost-sharing provisions (co-payments, coinsurance, deductibles and excluded benefits) (36 percent), and prescription drug out-of-pocket costs (32 percent). It does not include other health expenses, such as over the counter medications, most dental services and long-term care. And many employers who offer (or had offered) some level of retiree healthcare benefits, are now phasing out or significantly constraining such benefits because they feel they can no longer afford them in the current competitive global environment. While it is uncertain exactly how much of a burden will be placed on the shoulders of retirees for these costs, it appears likely that the costs will “eat up” an expanding portion of retirees’ savings and investments during their golden years. Given that the average balance in a 401(k) retirement plan for a Baby Boomer turning 60 is now $100,000, financial planning experts suggest that workers will need to plan on funding retiree healthcare expenses in a variety of ways, such as health savings accounts. In addition, those who are able may need to continue working for employers that provide health insurance or retiree health insurance plans. Volunteerism: Half of Americans age 50 to 70 want jobs that contribute to the greater good now and in retirement, according to a MetLife Foundation/Civic Ventures New Face of Work Survey. According to that survey, Baby Boomers will invent not only a new stage of life between the middle years and true old age but a new stage of work. “Boomers may give back as volunteers, but this survey suggests that their most important contributions to society will likely be through work,” said the study’s author. The planning implication is that Boomers should consider volunteering now, if able, to get a sense of what sorts of work and organizations will best suit them in retirement. 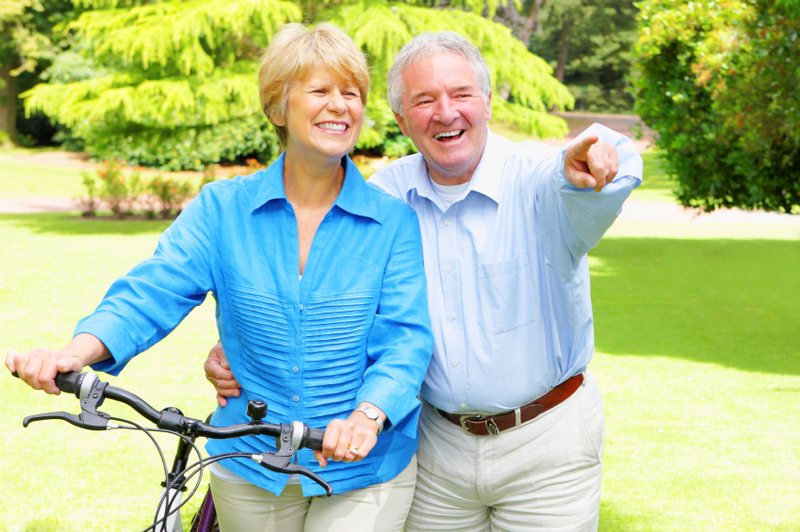 The reality for Baby Boomers is that they’re living longer, fuller lives. They need the help of planners now more than ever. This column is produced by the Financial Planning Association, the membership organization for the financial planning community, and is provided by Kristine McKinley, a local member of FPA. Kristine is President and Owner of Beacon Financial Advisors, a fee only financial planning firm located in Lee’s Summit, MO.